Considering a Membership with Perth Racing? Then some of our more frequently asked questions might help. I have just applied to become a Member. What happens next? If you have just joined as a Member you can expect your new Member Pack to arrive in the mail within the next 5-7 business days. 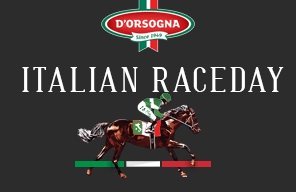 If you are planning to visit the Racecourse within this period of time please email the Membership Department or call us on 9277 0705 and we can arrange for your Pack to be collected at our Head Office or provide day passes which will be held for you on Raceday at Matheson Entrance Gate 6. What does my Car Pass entitle me to? If you forget your Membership Card on a raceday, you will be required to pay the racecourse entry fee and then proceed to the Raceday Admin Office. On presentation of suitable identification you will be provided a Members Privilege Ticket for the day. On our three major Carnival days (Melbourne Cup, Railway Stakes and Perth Cup) payment will be required on the day. Following a verification check following the event, this payment will be refunded to you. No, your Member Card is strictly non-transferable and lending it to a non-Member is a breach of Perth Racing’s policy. Ignoring this Policy may lead to a review of your Membership by our Board of Directors’. Member Cards discovered in use by any person other than the Member will be confiscated for the day. Lending Member cards to others in order to purchase Members Privilege tickets is also prohibited under Club rules. Each Perth Racing Member agrees to abide by Club rules at the time of applying for a Membership application or at Membership renewal time. Only those Members who have purchased a Membership with two Cards are at liberty to share their transferable Guest Card with non-Members. What happens if I lose my Member Pass? The loss of Membership cards or Guest cards must be reported to the Membership Department as soon as possible. A replacement fee of $60 applies to each lost Member card or Guest card. The fee will be waived if a copy of a stolen property police report is provided. How should I dress for the Member Area? There is a strict Dress Code in place for the Member Area at Ascot. Please familiarise yourself with this Dress Code and make sure all Guests are also made aware. What if my Guests are not dressed appropriately for the Member Area? 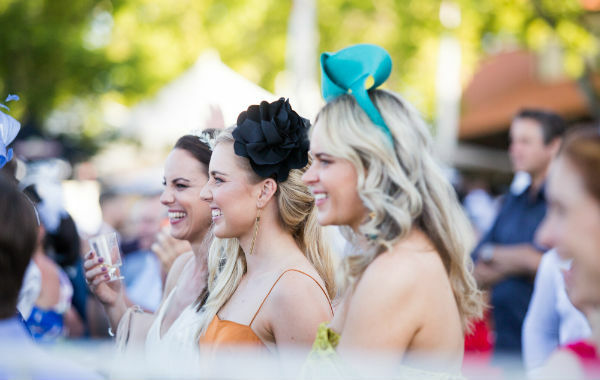 As the Perth Racing Member it is your responsibility to ensure all of your invited Guests comply with the Dress Code when accessing the Member Area. Should their attire not be deemed appropriate, they will be refused entry to the Member Area on the day. What is a Member's Privilege Ticket Voucher? Within your Handbook there are a number of complimentary Member Privilege Ticket Vouchers which can be exchanged for a Members Privilege Ticket, valid on Standard Saturday racedays. Simply provide your Guest the Handbook Voucher and it can be exchanged at any of the Admission gates for a Members Privilege Ticket. Alternatively if you are already on track, the Voucher can be redeemed at the Raceday Admin Office for same. Should you run out of Vouchers throughout the season additional Members Privilege tickets can be purchased here. As Handbook Vouchers are only valid on Saturday Saturday racedays, should you wish to purchase Guests tickets for Carnival or major events days please see the question below. How do I purchase a Member's Privilege Ticket? Only current Members of Perth Racing are entitled to purchase Members Privilege Ticket for their Guests. A Members Privilege Ticket provides your non-Member Guests complimentary access to the Member Area for a specific raceday. 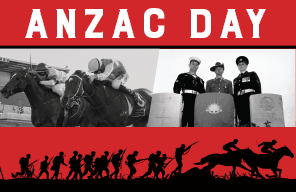 Members Privilege tickets can be purchased for Wednesday racedays, Standard Saturday racedays and key carnival dates. There is a range of price points and a maximum limit on the number of allowable tickets able to be purchased, dependent upon the specific race date. You can review price points and purchase Members Privilege Tickets online, at our Raceday Admin office or by calling the Membership department on 9277 0705. I’m travelling and would like to visit another Race Club. If you are planning on travelling and would like to take in the action of a Race Club outside of Perth, we are pleased to offer Perth Racing Members Reciprocal Privileges at a range of Interstate, Regional and International locations. Please review our Reciprocal Privileges arrangements, then we recommend you contact the Club directly to coordinate your booking. If you have any queries please do call us on 9277 0705. Can I reserve a table in the Member Area? Members can book a meal in the Flying Colours Restaurant located within the Member Area on the second floor of the Grandstand. This will guarantee a reserved table for the day. Seats can also be reserved in the 1848 Lounge on Standard Saturdays at a cost of $15 per seat when pre-booked and $20 per seat on the day. Additional hospitality packages are also available on key carnival dates. Both Flying Colours and 1848 also offer Season Table Packages. Please contact the Membership Department or call 9227 0705 for further information. 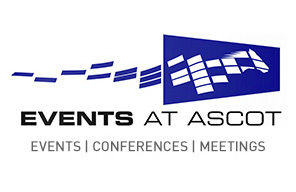 The Member floor at Ascot also has a limited number of non-reserved tables which are available to Members on a first-in basis. We would request however that Members are respectful to each other by not holding more than 1 table for their intended party and also offer unused seats at their table to other Members, should they request them. Any Member holding more than one table will be asked to relinquish the table to other Members. Tables of 5 can be reserved on the member Floor at Belmont at a cost of $100 per table. This includes a reserved seat for the day plus a Racebook. Can I bring my children to the racecourse? Yes, of course. General Admission entry and access to the Member Area is free for all children 16 years and under when accompanied by a Member. The exception is Melbourne Cup Day, Railway Stakes day and Perth Cup Day where children aged between 7 years and 16 years will need to purchase a Junior Guest Card for these days. Please contact the Membership Department on 9277 7705 should you wish to purchase a Junior Guest Card (cost $60 for the Season) for any of the above purposes. When will I need to renew? This will depend on the type of Membership you hold. For our Full Memberships the season runs from 1 August through until 31 July each year. The Renewal advice is sent out in early July each year however you can Renew Online at any time. For part-year Memberships you will be contacted towards the end of your current membership period and offered the opportunity to renew for the following term. Where can I review the Membership Terms & Conditions? Where can I review the Constitution & By Laws? The Clubs Constitutions and By Laws are available online.